For veteran playback singer KJ Yesudas, music goes beyond religion and it was his devotion towards his parents that fetched him the accolades, including the Padma Vibhushan, that he earned during his illustroius career. According to the singer, who has been entertaining audience with Indian classical music, besides devotional and film songs for decades now, said one life was “just not enough to learn music”. “I belong to a Christian family, but my father always taught me to go beyond religion. Such is the power of music. It transcends the concept of religion. 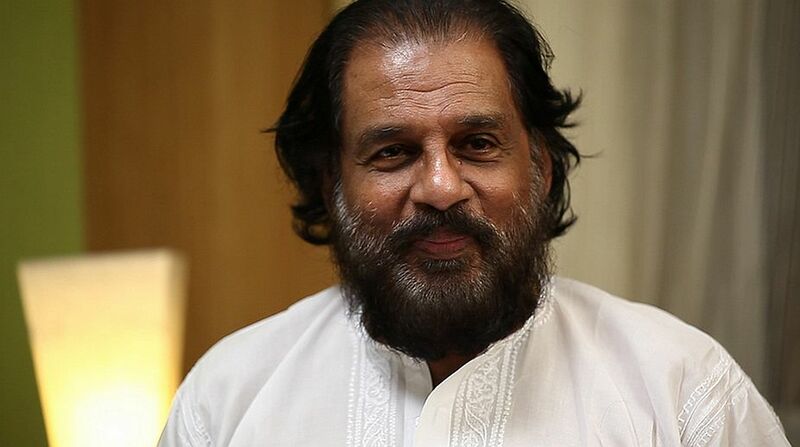 Music is like an ocean to me and I believe in one life you can not finish learning it,” Yesudas said, during the felicitation of this year's Padma awardees here yesterday. Fondly addressed as Gana Gandharvan (The Celestial Singer), the artiste said his parents and gurus had played a major role in his journey as a singer. “In our days children did not question parents and simply listened to them. I think my devotion to my father got me the Padma Vibhushan. All my masters who made me learn and listen to a variety of classical music have a big contribution in my life,” he said. Recalling his younger days, Yesudas, who has previously been awarded the Padma Shri (1975) and Padma Bhushan (2002), said it was important to surrender to God to achieve even a little in life. The Carnatic musician, who debuted with Jaathi Bhedam Matha Dwesham in a studio in Madras in 1961, also talked about the challenges he faced in the initial stages of his career. “I caught typhoid before recording in Madras. The music director then thought that if he will give the song to me it won't work. They chose me to sing just four spiritual lines by guru Narayanswamy. Those lines had a profound impact on my career. I believe it is important to surrender to God completely to achieve even a little,” he said. The event organised at Ashoka Hotel here, was attended by Lok Sabha Speaker Sumitra Mahajan along with P J Kurien, the Deputy Speaker of Rajya Sabha. Mahajan, who remembered singing Yesudas' Hindi compositions in the 1970s, said his versatility has made him popular across the country. “In the 60s and 70s, I remember we used to sing Yesudas' songs all the time. Jab deep jale aana has been one of the most famous melodies that we sang,” she said.